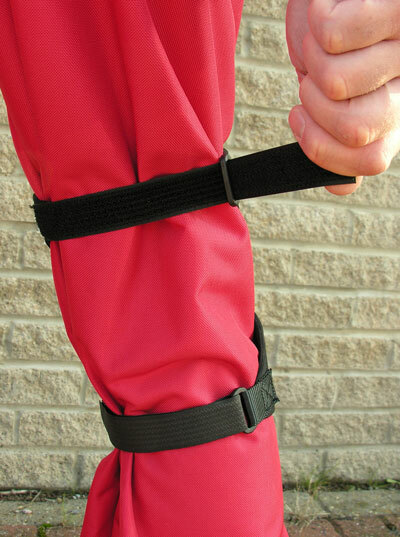 The Warmbac range of accessories features Knee Pads, Elbow Pad, Neporene Hoods, Socks and Rope Protectors. 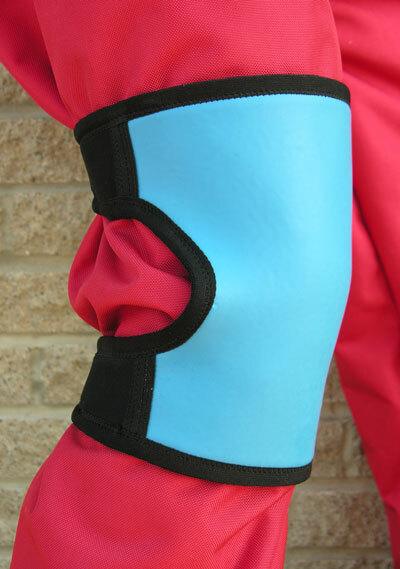 Warmbac's own unique material "Warmtex" features in its quality Knee and Elbow pads. 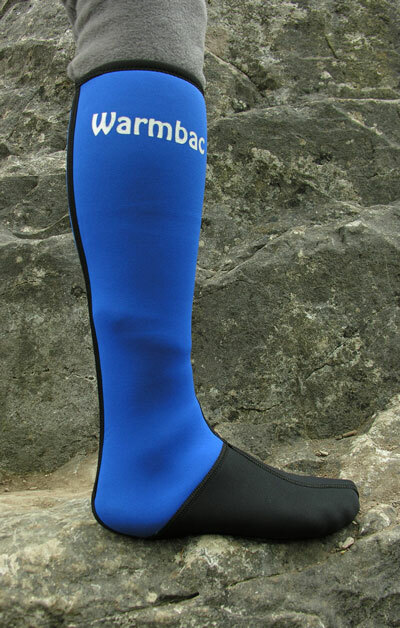 Exclusive to Warmbac "Warmtex" was designed specifically with the needs of cavers in mind producing a hardwaring and durable final product. 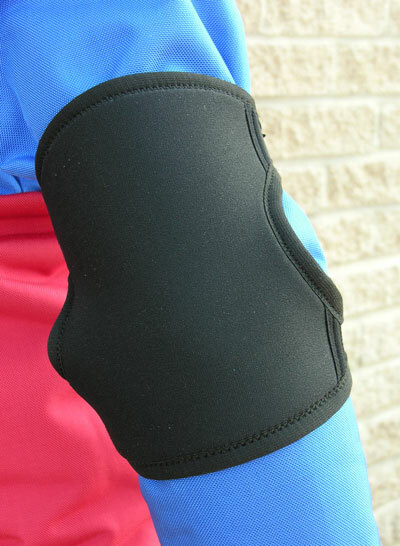 6mm, Double lined hard compound neoprene. With Small Diamond heavy duty nylon on the front. 3mm back straps for flexibility. 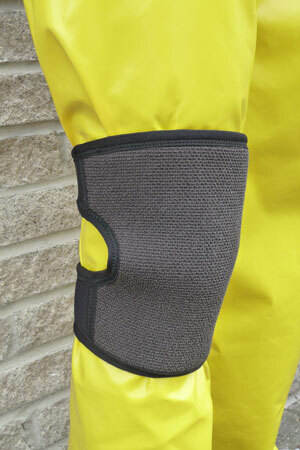 Made from Warmtex the most abrasion resistant material available for neoprene knee and elbow pads. 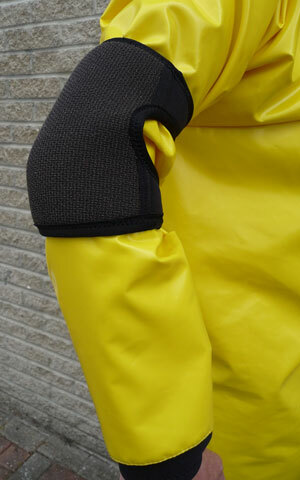 Hard wearing Kevlar laminated to 6mm hard compound double lined neoprene. For extra durability we use heavy duty SD nylon on the back of the pads. 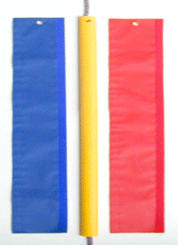 3mm back straps for flexability. Also available with adjustable straps. 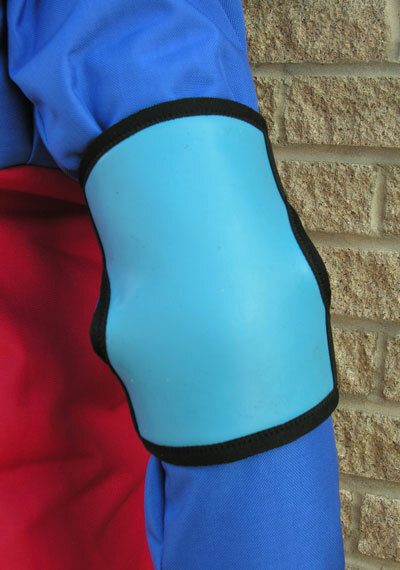 4.5mm, Double lined hard compound neoprene. 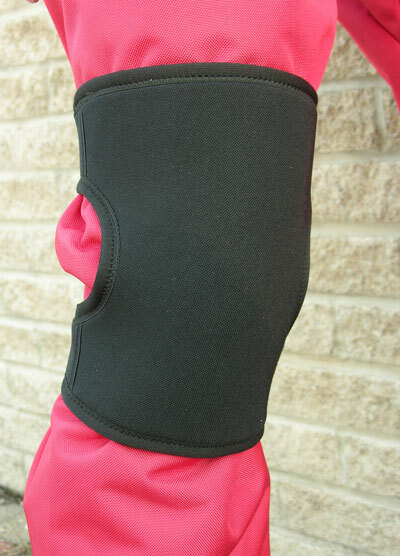 These Pads are made from 6mm double lined neoprene to the same design as the Kevlar Kneepads. Also available with adjustable straps. These pads are made to the same standard as both the double lined, Warmtex & Kevlar pull on pads, with the extra convenience of adjustability to get a perfect fit. 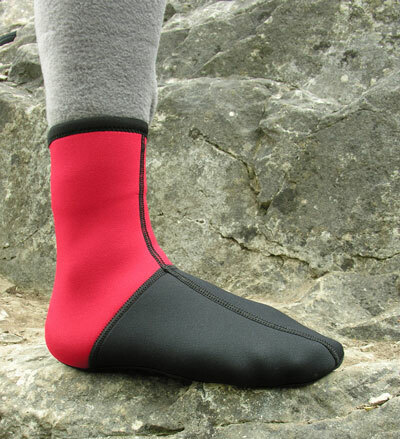 These socks are a combination of 2.5mm legs 3mm foot & 4mm soles. For comfort, we use both 7 thread flat lock & 6 thread mauser stitching. 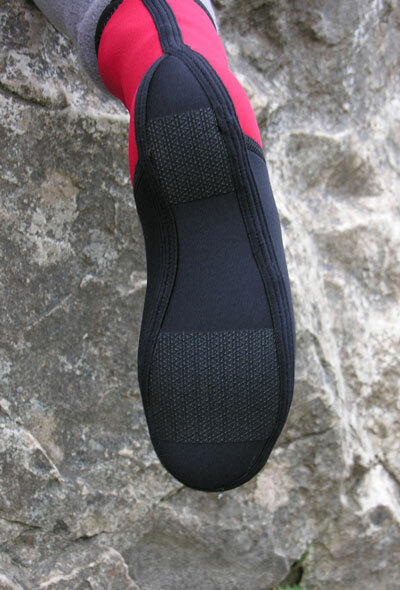 To protect the sole we include reinforcement pads on the ball of the foot & heel. All details as socks above. Wade through knee deep water and stay warm. The perfect partner for the Neo-Fleece suit. 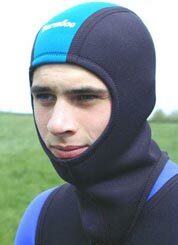 This hood can be worn under a caving helmet. Made from PVC. Full length velcro closure two eyelet holes. Available in 50cm or 100cm lengths. 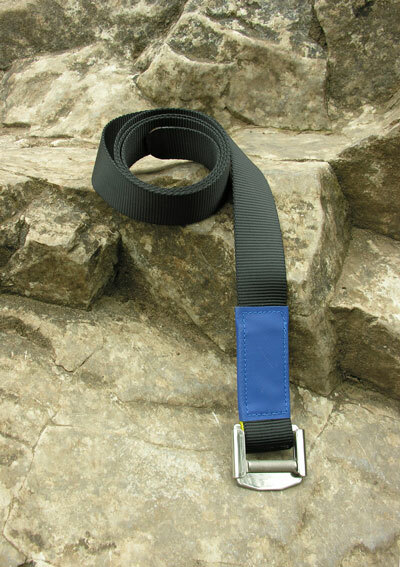 Made from 44 webbing these belts are available with square link or roller buckles. 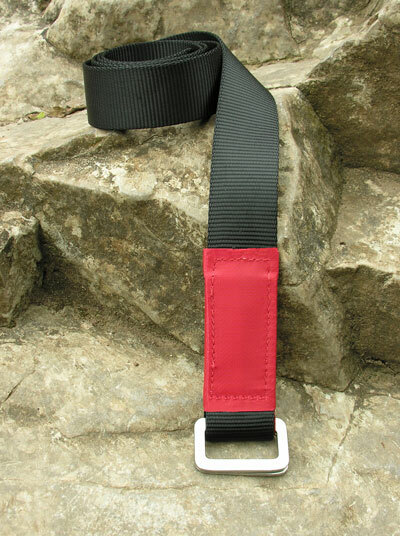 The buckles are attached with flag box stitching. with a pvc sleeve for protection. 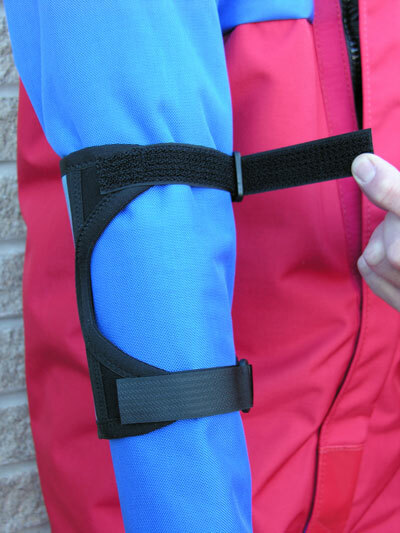 A pvc sleeve is used for protection of the stitching.